Last night I gave a successful presentation on paleo living at Run to Live with Helen Williams of the Surrey Nutrition Clinic . The audience was mainly runners (obviously!) and there was a lot of interest in the action of insulin on the body’s energy systems. One of the issues that came up in the Q&A at the end was that eating a paleo diet would be difficult and time consuming “I just don’t have time to do all this cooking!”. But surely if a paleo diet improves your health and extends your lifespan, then it creates time rather than consuming it? Does being paleo actually give you the time to do all the cooking? Is it really complicated? These questions went round my head on the way home from the seminar. I got home at 9.30pm tired and hungry and made dinner. 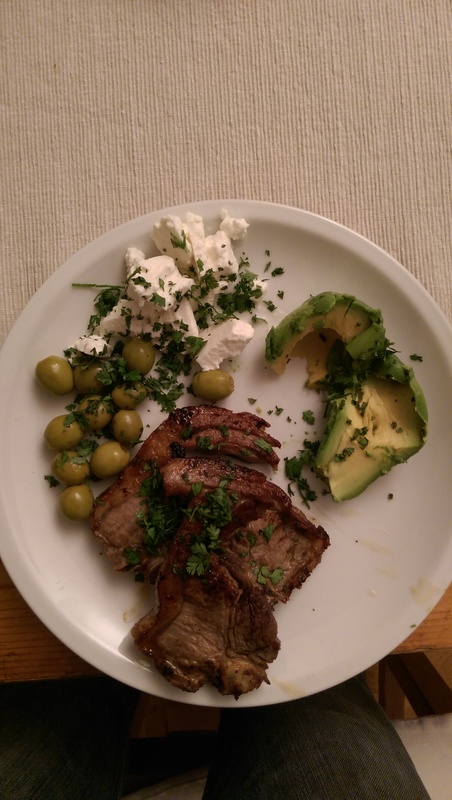 Grilled thin cut lamb chops, olives, feta cheese in lemon juice and avocado. I sat down to my simple flavourful dinner at 9.45pm having also prepared my lunch for the following day. Two paleo meals ready in 15 minutes. In my view being paleo gives you more time to live, it doesn’t take it away. Here as a link to the BBC report on the findings of a new survey that has “discovered” that half of the children in England, Wales and Northern Ireland have got tooth decay. I don’t know why Scotland was excluded but I doubt Scotland’s results would be any better. “Dr Sandra White, director of dental public health at Public Health England, said it was good news that tooth decay levels were falling and more children were brushing their teeth twice a day, but there was no room for complacency. 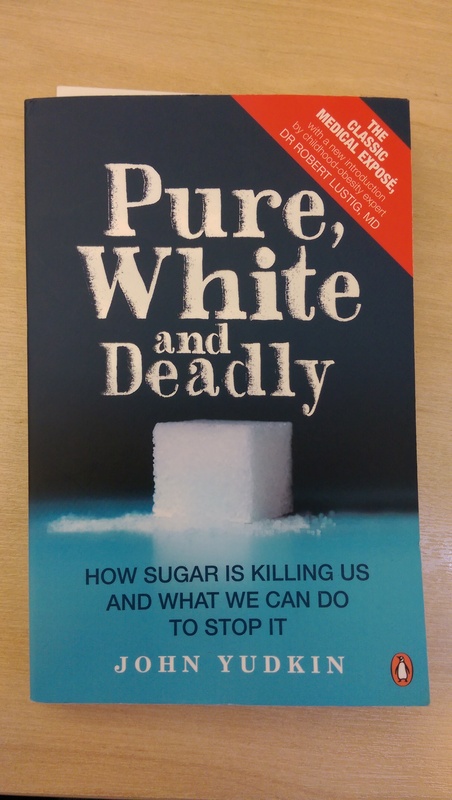 Here is the 2012 version of John Yudkin’s classic 1972 book “Pure White and Deadly” that pointed out the need urgently to reduce the amount of sugar in people’s diet to prevent amongst other things, dental caries which, he points out, is a serious but preventable disease. I particularly like the comment about fluoridation. Yep, definitely no room for complacency…. 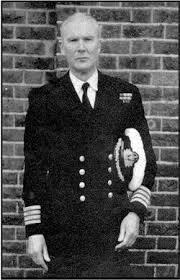 I am sure John Yudkin and Surgeon Captain TL Cleave would agree. In this post you will find some photos of the different food served at the Low Carb/High Fat conference in South Africa, an obesity conference in Stockholm and a conference on diabetes in Vienna. It would be funny if it wasn’t so serious a problem. my previous, sometimes cripplingly acute, hay fever vanished almost immediately and has never returned. It has completely utterly gone and I used to get it bad!! the painful, anguish inducing, acid reflux I used to get after every meal has not occurred (to the best of my memory) in 13 years. And one change that didn’t happen was that I didn’t inherit my father’s epilepsy that appeared in him when he reached 40. 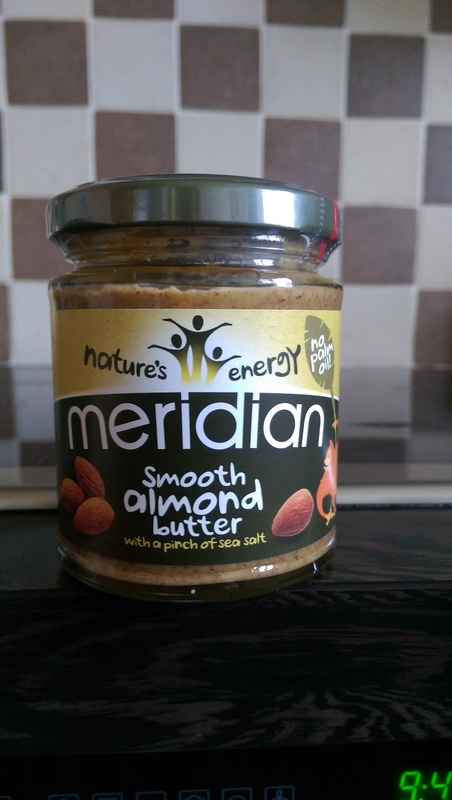 Are these three things connected with lowering systemic inflammation, an intolerance or allergy to gluten and the effect of ketosis on my brain? I don’t know. Maybe they are but in any event, my life is better with the first two and definitely without the third. Normally I don’t bother with breakfast, preferring instead to prolong my overnight fast until after my first workout which is usually at around mid-day. As I am now almost permanently in fat burning mode, I don’t get hungry and so not eating breakfast isn’t an issue for me. Today, however, I decided to have some breakfast as I wont be working out. I had some bacon in the fridge but I am still staying away from eggs at the moment so the classic primal “bacon and eggs” wasn’t an option. 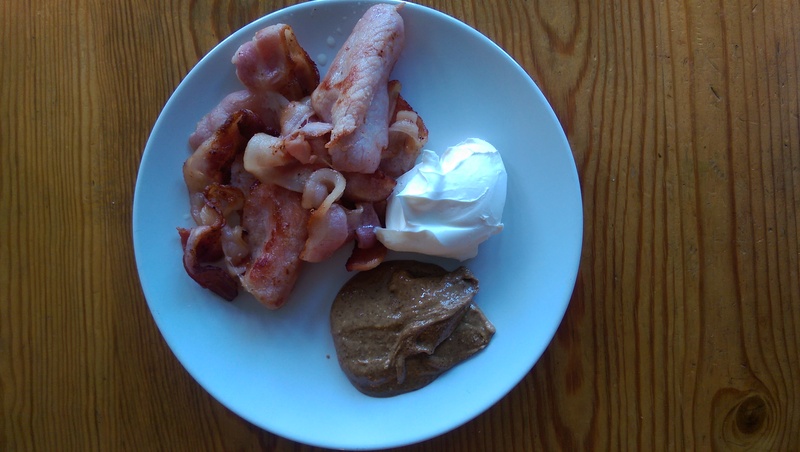 So here is my alternative; bacon, almond butter and creme fraiche. Delicious! !